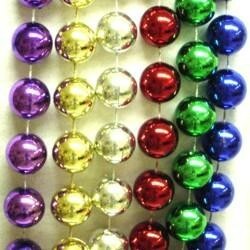 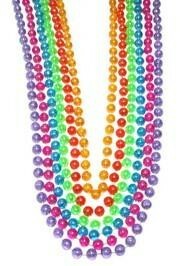 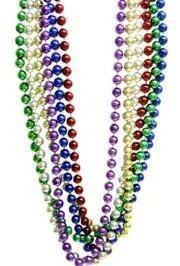 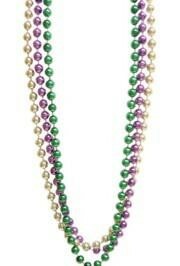 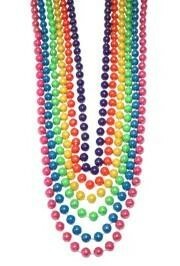 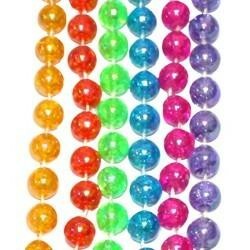 A pack of round metallic assorted color beads. 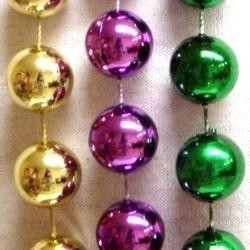 Colors included: purple, green, gold, red, silver, and blue. 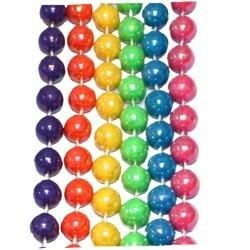 They are sold by each (1), 6 piece (6) bags, and 4 dozen (48) cases.